In the tri-state area, point guards are very revered. Those are the players that march to the beat of their own drum and also direct the other four players on the court with them. There are the flashy ones who can score and make highlight-reel plays and then the ones that the position regularly by just getting their teammates involved. Jordan Walker is one player that embodies both of those types of guards. The 5-foot-11 point guard out of the Long Island suburb of Fort Washington, New York, is one of the most prominent point guards in the metro area. Walker coming off of a pick & roll, which is something that he likes to do. Whenever he’s in the game, the team that he’s playing against is in for a long night. Not only does he have plenty of skills in his arsenal, but he also has some quickness and is definitely a good shooter. Walker goes head-to-head with top-40 national prospect Tremont Waters at the Hoops Showdown. As a junior, Walker transferred across state lines to The Patrick School, which gave him a chance to shine early on. As a junior, he averaged 9.7 points per game for the Celtics. 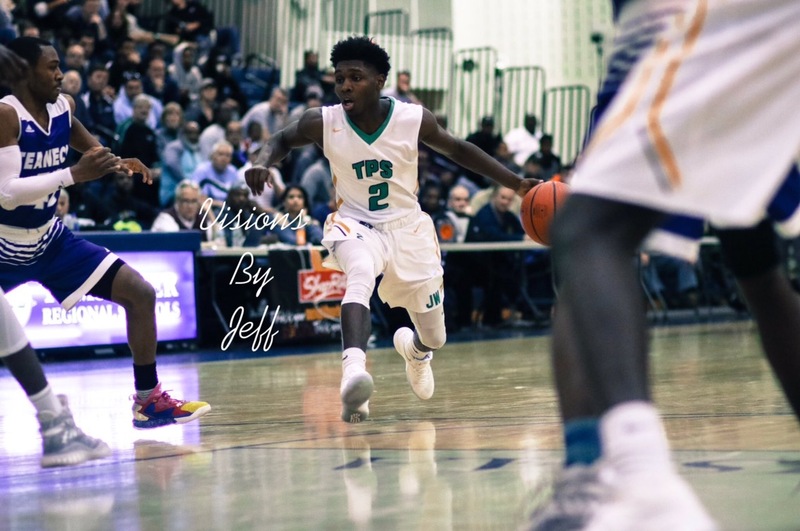 But then this past season, he stepped up his game by averaging 11.9 points and 4.8 assists per game, as he led The Patrick School to the promised land, a New Jersey Tournament of Champions title, a 29-4 record and a No. 12 national ranking in the USA Today poll. Throughout his senior season, he also displayed some big performances, such as having a near-triple double at the Hoophall Classic in Springfield, Massachussets against Pace Academy of Georgia, when he produced 15 points, 11 assists and eight rebounds. Then against Linden, a big-time public school in the state, he added 31 points and seven assists. It seemed as if the bigger the game, the better Walker played. Walker has also been involved with the basketball conglomerate, the Jelly Fam, which involves players such as Teaneck guards Ja’Quaye James and Robert Morris commit Leondre Washington and St. Raymond’s (NY) guard Isaiah Washington, who is bound for the University of Minnesota in the fall. This crew of guards are known for doing a particular layup called the “Jelly,” which is styled after a layup that was once done by NBA Hall of Famer George Gervin. But Walker says it’s much more than that. Last summer, he played for two teams on the AAU circuit, the New York Lightning on the Nike EYBL circuit, and the Southern Stampede, another Nike EYBL program based in Atlanta, Georgia. For awhile, it seemed as if Walker would go the prep school route and reclassify into the Class of 2018, but on May 1st, all of those thoughts were deflated, when he made his collegiate choice by announcing that he would commit to Seton Hall. Walker became the sixth member of the Celtics’ senior class to commit to a Division I school, which included McDonald’s All-American Nick Richards (Kentucky), Marcus McClary (Monmouth), Jamir Harris (Minnesota) and Buay Koka and Bul Ajang (Tulane). Walker is the fifth player to be signed in the 2017 Seton Hall recruiting class, alongside Myles Cale, Darnell Brodie, Sandro Mamukelashvili and Romaro Gill. He comes to a program that went 21-10 and made their second straight NCAA Tournament appearance. Next year, he will be competing for time with junior Khadeen Carrington and freshman Myles Powell. 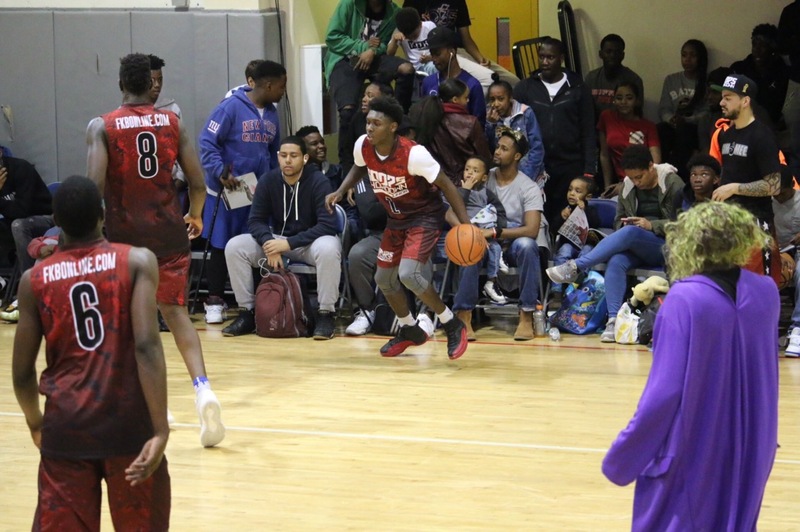 Over the weekend, at the Hoops Showdown at the Bronx River Community Center in the South Bronx, he did a Kemba Walker- like step-back move and then made a shot to win the title game for 2G’z. When you’re a player of a diminutive size, the world overlooks you. But this young player, has the heart of a lion, and will play bigger than his size. This fall, expect to see Jordan Walker doing the “jelly” at the Prudential Center. But when the big conference games in the Big East start up, expect big performances from him in a Pirates uniform.